My boys love their burgers, they will eat most any burger McDonald’s, supermarket brought, etc., but the ones they like most are the home made ones, whoop whoop !. I’m veggie but my boys are not, so I want them eating at least the most unadulterated option available, these are so simple to make and they freeze well when using fresh mince. Basic recipe: makes six good sized burgers which wont shrink when cooked. 600 g / 1 lb 5 oz organic free range beef mince. 1 organic free range egg, beaten (can be make without the egg but this holds the burger together better). Large Splash of Worcester sauce. Italian herbs, 2 generous pinches to taste. Pinch of pink salt. (hub likes pepper too so I separate a portion for him and add to that). In a big bowl place all the ingredients and mix well. shape now into six individual burgers and leave to rest in a cool place, then you are ready to go and gives the meat time to settle. Or rest the mix and then shape. Depending on what suits you best but resting allows the flavours to develop. 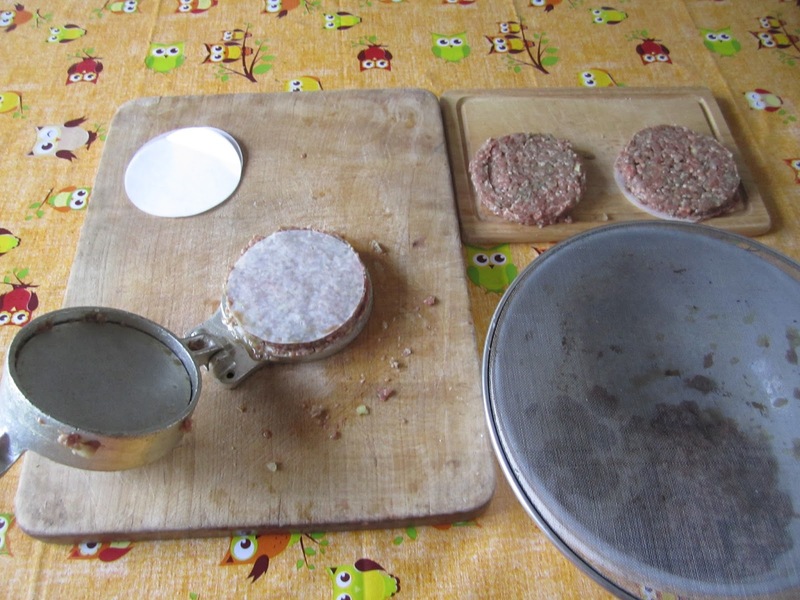 I have a burger press, which is a brilliant little device making the burger process lots of fun especially if you are getting the kids to help, kids also love to eat what they have made. 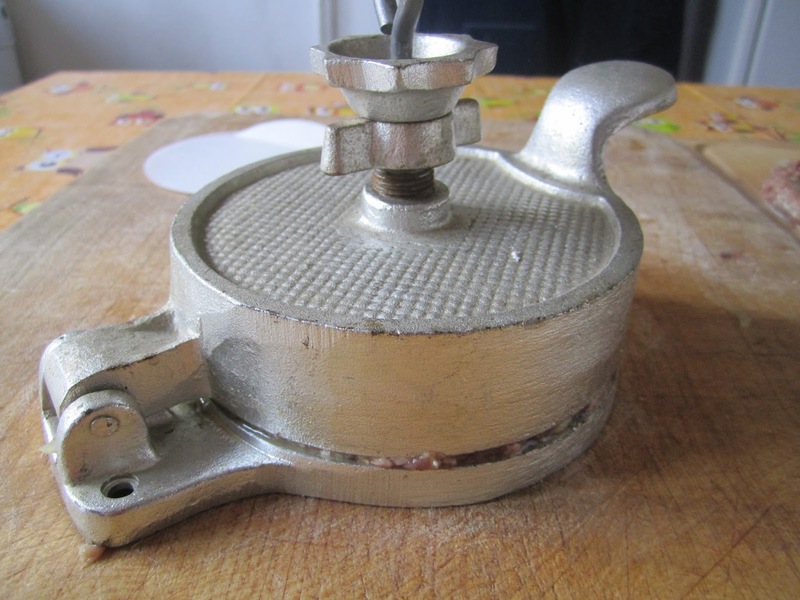 Hand shaping is good too. If you like you can put waxed disks between the burgers so you can stack them, very useful when short on space, freezing them or making larger quantities. Treat as you would your usual burgers and cook according to your preference. I like to bake on a tray in a moderate oven for about 20 mins or on a griddle, great on a BBQ. To serve: my boys like them in a large floury bap with relish, salad and cheese.